When CIA assassin Hannah Winslow mistakenly kills the wrong man, she vows never to take another life. Unfortunately Hannah's superiors believe the killing was intentional. Now Hannah is the target. Hannah always knew it might come to this. Surprising her colleagues, she manages to disappear completely into a new, screamingly dull life, assuming a fake identity, shacking up with an overweight cat, and starting a new career as an ad executive. Hannah's past finally catches up with her at a company retreat in Hawaii, where her former partner Benjamin Miller has tracked her down. Is it a coincidence that assassination attempts on her life are now as common as rum, suntan lotion, and tiny umbrella drinks? What is the real reason for Ben's presence? 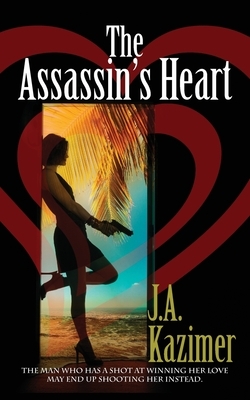 Will he be her savior or her assassin?